PDF copy of "Strategy Dynamics Essentials"
Sysdea exercises model links to share with your students - see example below. The course makes extensive use of Sysdea: an online strategy planning software used for exercises and worksheets. 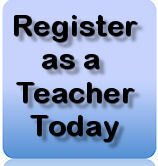 As a teacher you may be eligible for a free "Standard" account on Sysdea for use in teaching only. Sign-up for a free 30 day Trial on www.sysdea.com then contact us for an upgrade - please use your formal University email account for this. Read-Only - students can view a model but not make any changes to it. They can undertake experiments with a model using variables that have been set up as decisions. The Bass Diffusion Example below is an example. Read-Write - in addition to experiments possible with Read Only models students can see the data and equations behind variables as well as changing the model in any way. This includes adding new variables. However, with no account there is no option to save. Full access on 30 day trial. If your course duration is less than one month our 30 day trial option provides full functionality including creating, saving and sharing models, and this may well be sufficient for your needs. At the end of this period the account is frozen unless a subscription is taken out or a token applied that grants longer access. Cost: FREE. Student class access licence. The academic price for a class at University level is $25 per student for a semester licence (generally 6 months total with 30 day trial), with additional months at $5/month/student. This is currently arranged though our office, contact us for more information. Sysdea models run in your browser so there is nothing to install, but it does require the latest version of Chrome, Firefox, Safari or Internet Explorer 10 and above. Bass Diffusion model exercise. This is a read-only shared model used in Class 4a. This means that the model can be opened and run by anyone, no Sysdea account is needed. Watch our 3 min ClassExerciseDemo for guidance on use. This model is about customers adopting a new durable product (such as a consumer electronic device) or semi-durable product (such as running shoes). Customers are won by marketing AND by word of mouth ... but the win-rate slows down as the potential customer-base is used up. Sales come from purchases by first-time buyers and from repeat sales to existing consumers. You can read more about the Bass Diffusion model here. and, optionally, the percentage buying from word of mouth recommendations, the number of contacts consumers have and the percentage of cunsumers who re-purchase each month. The Model opens with default decisions run through to the end as shown by the progress bar at the bottom of the screen. To see how the decisions fit into the model click on each in the decisions list - the view moves so that item is in the center of the screen. How much marketing is needed for the first 6 months only to reach the same sales rate by start of month 13 (that is, after 1 year)? Then, change consumer behaviour values and explore more questions, such as how much marketing spend is needed to achieve the results above if 7% of consumers by from recommendations - or 3%? This exercise is just one of around 40 used on the course. As a participant on the course you have access to the complete model so you can become comfortable with the way it works. We also provide links (both "read-only" and "read-write" that you can share with your students to use as exercises in your own courses. We reserve the right to check your academic standing and to decline enrolment requests. We reserve the right to withdraw this offer at any time. Currently enrolled teachers would not be affected.